ACTEX continues offering a series of interviews with actuaries from around the world. This month we have the pleasure of interviewing Luis Martínez, president of the Panamanian Actuarial Association (Asociación de Actuarios de Panamá). Luis holds a master's degree in actuarial science from Universidad Anáhuac in Mexico, and a Bachelor's degree in statistics from Universidad de Panamá. 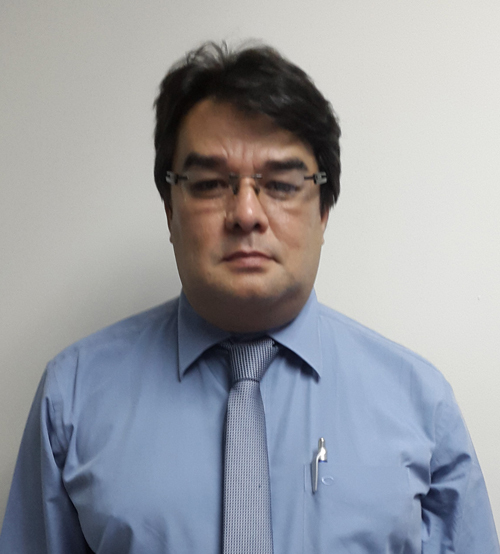 He is currently the Director General of the Panama Canal Area Benefit Plan and has previously worked with HSBC insurance, ANCON, the insurance superintendent's office in Panama, and for the Panamanian social security office. In his "free time" he is a professor at Universidad Latinoamericana de Ciencia y Tecnología (ULACIT). ACTEX Learning (AL): How many practicing actuaries do you have in Panama? Luis Martínez (LM): There are 50 actuaries in Panamá, of which 20 belong to our association. AL: What is the word for actuary in your local language? AL: When was actuarial science first introduced? LM: It was first introduced in the 1960s, but the first actuaries studied in the U.S. and Mexico. AL: What is your favorite part about being an actuary? LM: To be able to understand and measure risk. AL: Can you share an interesting anecdote from your career? LM: My first research project that I presented was in the International Congress of Actuaries in 2002 in Cancún, Mexico. It was my first congress, and it was spectacular. AL: What are some of the highlights of the history of the actuarial profession? LM: The significant participation that actuaries have had in the revolution in the pension and health systems throughout the world. AL: What are some of the main challenges and projects for your association over the next 5-10 years? LM: We seek to have a formal legal organization in 2015, and over the next five years, help create a legal framework for actuaries and their certification in Panamá. AL: What developments on the horizon could affect future opportunities in your country? LM: The widening of the Panama Canal, the growth of the insurance industry, and the imminent reforms to our social security system. AL: What have you seen from inside your company? Where do you think the changes to actuarial work in your country will happen in the next five years? LM: The issue of health insurance is demanding more attention from actuaries, and I believe that the contribution of our professional will be fundamental in the development of health plans that allow for universal coverage at accessible prices. AL: Who are the main employers of actuaries? LM: Insurance companies, banks and the social security office. AL: What qualifications do you find most important for upcoming actuaries? LM: The correct actuarial techniques to measure the particular risk that is being analyzed. Knowledge of the necessary technology tools and mathematical techniques. The ability to explain one's work simply and clearly. AL: Do the schools in your country have actuarial majors, minors, concentrations or do students study on their own or overseas? LM: Currently we do not have a university degree in actuarial science. There have been various attempts to create one, but there has not been sufficient student interest. The majority of actuaries have studied in the U.S., Mexico, Brazil, and other countries. AL: What is the credentialing procedure like for an actuary in your country? LM: We don't have a law that accredits the professional work of actuaries in Panama. This is part of our five-year plan. We do have the recognition of actuarial studies by the University of Panama. AL: Do employers support the cost and time of exam preparation? LM: Some businesses have supported their actuarial employees in their preparation for SOA exams. However, generally actuaries interested in working overseas pay for their own preparation for these exams. AL: Are there any noteworthy non-traditional actuarial positions? LM: There are very few actuaries that have worked in non-traditional areas, but there are some. They have worked in managerial positions, or in technical support in the area of environmental risks. AL: What is the reputation of actuaries in your country? LM: Actuaries enjoy a very solid reputation in that they are experts in probability and mathematics and are able to help future socioeconomic and demographic conditions. AL: Is there anything else you would like to share? LM: We are seeking to achieve full member status in the International Actuarial Association (IAA). We will receive a visit from the president of the SOA this December, as there is interest in supporting the development of our association and profession here in Panama. In " Actuaries Around the World "